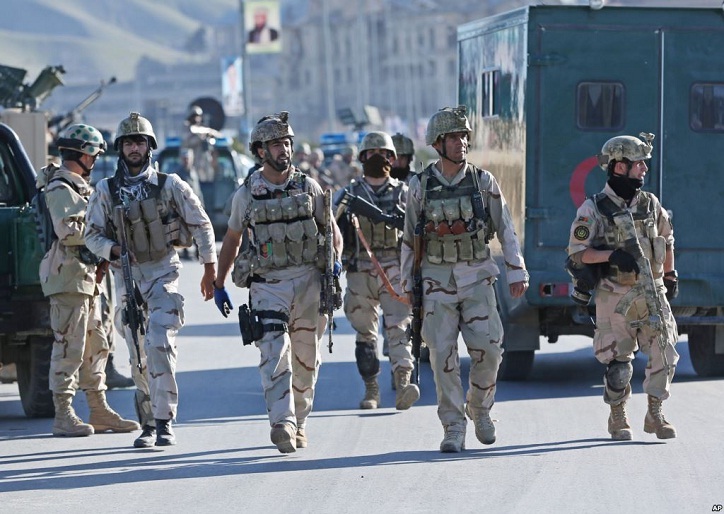 KABUL: The National Day for Security Forces was marked in Paktia province, where some soldiers called on government’s full support, complaining that they did not receive payments on time. They also demanded more air supports for the battlefield and medical facilities for injured troops. “Weather is severely cold here with electricity problems. We want timely attention to the wounded soldiers,” said Fayeq, an army’s commando. “We ask the president and Special Forces commander to support commandos in every battlefield. The wounded soldiers should be taken to hospitals on time. We are able to carry out duty in every war battle successfully,” another commando soldier Hossain Ahmad said. Army’s 203 Thunder Corps says they have defeated anti-government militants in the battlefields and they have lost morale to confront security forces. “We have carried out attacks on the enemy through ground and air, have taken their fortresses and have defeated them in the field,” said Gen. Dadan Lawang, commander of the army 203 Thunder Corps. The remarks come as families of dead soldiers have repeatedly complained for government’s ignorance to them.